The SpitBird is up for sale. As much as I like this car, and it is a hoot to drive, and will be even more once someone fully sorts it out. It turns heads like crazy. In the end, its just not quite my passion, the time this requires to make it right I would much rather spend on my e28 or another project I have in mind. My phone number is in the Craigslist ad, if you're interested hit me up! Does it come with spares/extras to get budget down? It's running on the Ford ECM or the MS one? I'm impatient in my old age. Texted you. So is this going to be the latest addition to Team Stampie? It's the latest car to catch my eye. We shall see if it joins the clan. BMW 2002 with Honda S2000 engine. Tube frame everywhere. Very cool. Will try to get a list of spares included this weekend. Running on a Ford LA3 ECU. Team Stampie decided that we're not ready to jump into the deep end of the pool yet. One day we might grow up and play with the big boys. Trade fodder. Best I can do right now, too many cars and too little cash in the bank. 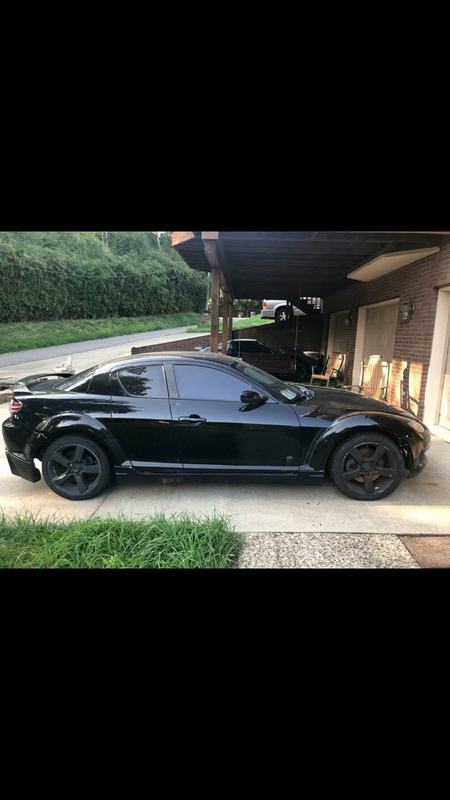 As much as I want an RX8 in my life, this isn't the time. Thanks though! -Used 225/50/15 Toyo Proxies R888R tires. EST 70% treat life left. -pair of 4/98 to 4/100 wheel spacer adapters. So $2018 is the sale price? That looks like a fantastic deal. To GRM peeps, yeah. Asking more elsewhere. Hmmmmm. How much do you want for the race tires alone? I don't have anything else to leave the car rolling on for the sale really, so they're kinda stuck with the car. May we hear current highest offer, sir? I believe the current highest offer is a trade for a canoe. Hey guys, this thing is still for sale... I'm itching to get my garage space back to start on the next project. Come on... I know one of you wants this... And I want the garage space!